Alfred was born in Newbury in 1891, the son of William Edwards and his wife Jane née Mills. He was their youngest child of nine. His siblings were: Elizabeth Hannah (born 1877); William Charles (1879); Nellie Louisa (1880); Alice Eliza (1884); Ada Ellen (1886); Albert Henry (1887); and Florence Emily (1889). There is one missing from this list, a child who died in infancy without appearing with the family in any census return. 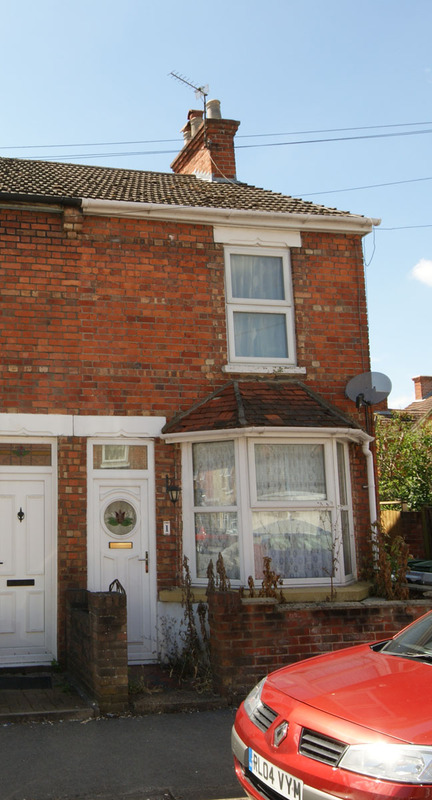 There are a few such Edwards children whose births and deaths were registered in the area (Kintbury/Newbury) during the right period, the most likely being Edith Annie Edwards who was born in mid 1882 and died before she was six months old. There were other tragedies in the family – William died in 1895 aged 16 and Albert Henry in 1898 aged only 10 – leaving Alfred as the only surviving son. Then their father, also William, died in 1906 – at least the children were all working by then son Jane was not left with toddlers to support and would have had the support of her older children. Alfred was educated at the Newbury Boy’s British School, also known as the Lancasterian School. This school, in Newtown Road, was supported by nonconformist churches suggesting that the Edwards were nonconformist (as do the burials of William and Albert in a grave in the unconsecrated section of the Newtown Road Cemetery); however, Alfred was not remembered on any of the known nonconformist church war memorials in Newbury. Perhaps they were not regular churchgoers – or perhaps they were Quakers (who did not have a memorial) or Unitarians (when the Unitarian chapel was demolished in the 1960s any memorial went with it). After his schooling Alfred may have worked for a year or two as a child (the minimum school leaving age was twelve) before getting an apprenticeship. 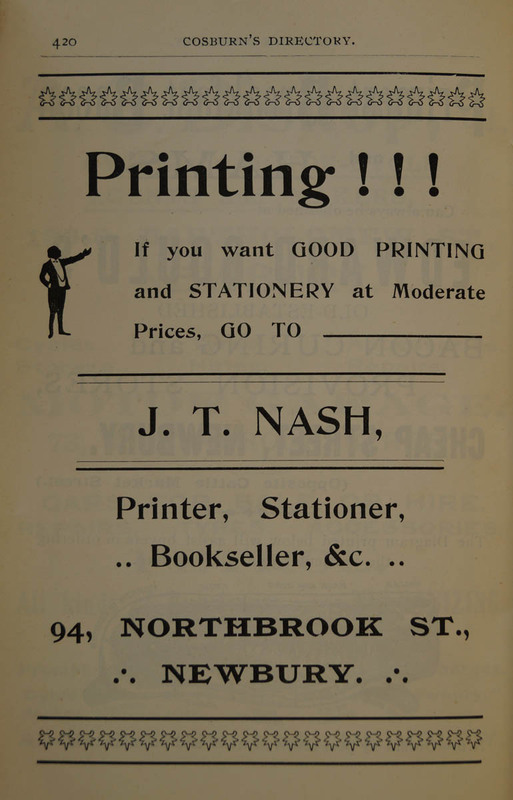 In his short obituary (below) it was stated that he was apprenticed to ‘Mr Nash’ – this was almost certainly John Thomas Nash, a printer and bookseller with premises at 94 Northbrook Street. Alfred joined the firm at around the same time as Nash’s son, John, who was a few years older, but had a longer education at Newbury Grammar School. The two boys starting out on their careers had very different prospects, but both would die within a few months of each other in the fields of France. For John Nash’s story see here. Alfred moved on from Nash’s to employment in London and then Manchester where he was working when war broke out. He enlisted in March 1916, joining the local Manchester Regiment. Sadly Alfred’s service record was among the many destroyed by a fire in 1940 so there is nothing to add detail to his time in the Army. His obituary implies that he went overseas in July 1916 ‘the following July’ after he enlisted. He served first with the regiment’s 26th Battalion before transferring to the 17th Battalion, with which he was serving at the time of his death. Most new recruits would have received more than four months training, but there was a massive and immediate need for reinforcements following the dramatic events on the Somme in the opening weeks of July 1916. 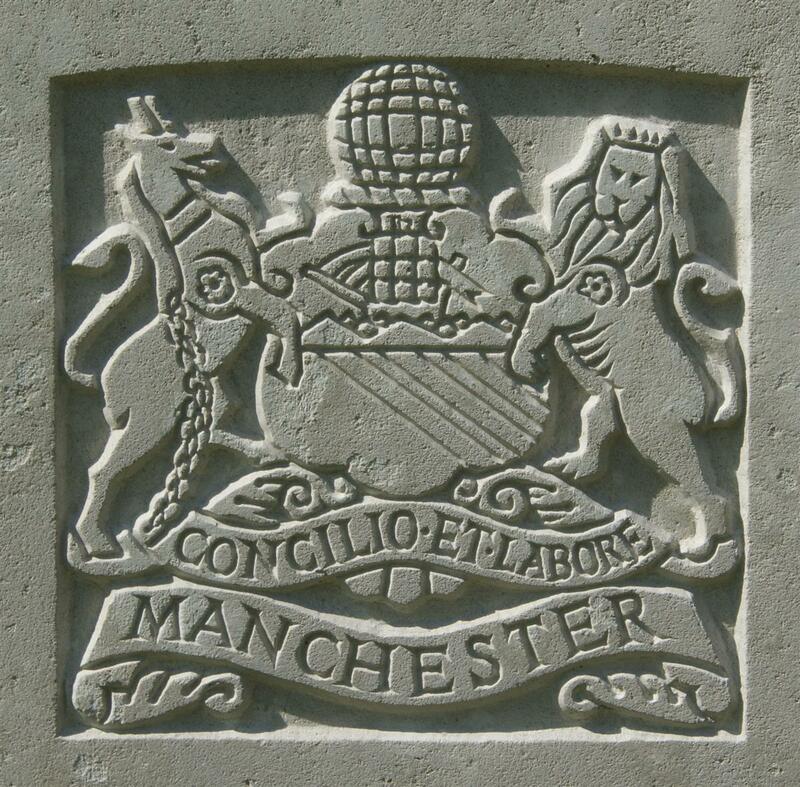 The regimental badge of the Manchester Regiment, as used on CWGC headstones. It is possible that Alfred was wounded or sick for a period since it was not common for men to change battalion without such a break in their service at the front. More confusion arises from a statement in his obituary that he was in ‘the machine gun section of the Manchesters’. This probably means that he was in a Lewis Gun section because the Machine Gun sections of all the infantry battalions had been moved into the newly formed Machine Gun Corps in 1915. He died on 23 April 1917 – St George’s Day. His battalion took part in an attack on German positions known as the 2nd Battle of the Scarpe a part of the offensive known to the British as the Battle of Arras which, in reality was the British element of the 2nd Battle of Artois. Primarily a French offensive the battle is best known for its opening days when the Canadian Division captured Vimy Ridge - where a spectacular memorial now stands in memory of those young men from Canada. 4.45am The Battn attacked – The following casualties were sustained: Lt G F Potts K in A. 2nd Lt PALMER k in A. The following officers wounded in action: A/Capt H J COLE. A/Capt T CARTMAN . Lt J H CHADWICK. 2nd Lt A T S HOLT. 2nd Lt W P SMITH. 2nd Lt W F SWIFT. 2nd Lt F A ORRITT. 2nd Lt J BROADBENT. 2nd Lt R J JACKMAN. 2nd Lt F A RAYNOR. 2nd Lt B H MILLS – 10 OR Killed in Action 105 OR Wounded, 168 OR Missing. 33 OR Reinforcement joined Battn. Pte Alfred Edwards of the Machine Gun Section of the Manchesters, who is reported missing, is the only son of the late William Edwards and Mrs Edwards, of Connaught-road, Newbury. He was born at Newbury, educated at the Boy’s British School, and apprenticed at Mr Nash. He went on the London, thence to Manchester, where he joined up in March 1916. Left for France in the following July, and had not been home since. In ever loving memory of my beloved son, Pte A Edwards, 31181, 17th Manchesters, of 1, Connaught-road, Newbury, who was reported missing the 23rd of April 1917. But his photo on the wall. From his ever loving Mother and Sisters (Ada, Flo, and Nellie). Alfred’s remains were never identified, he has no known grave – so his name is remembered on the Arras Memorial to the missing (bay 7). 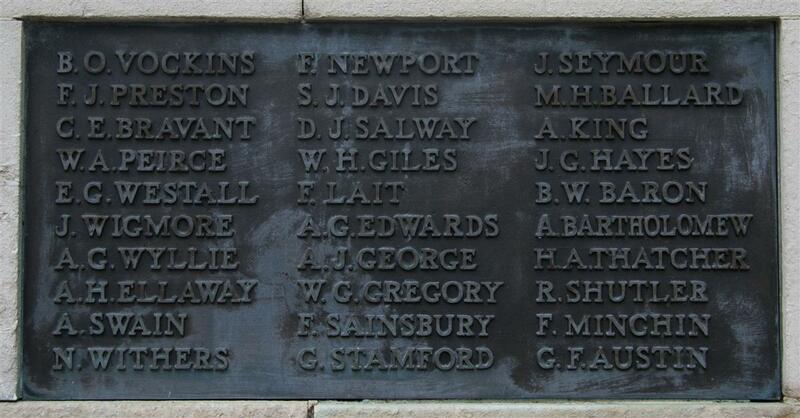 Locally he is remembered on tablet 4 of the Newbury Town War Memorial. EDWARDS - In loving memory of Pte A Edwards, of the 17th Manchesters, only son of Mrs J Edwards, Connaught Road, reported missing 23 April, 1917 (now presumed killed). True grief often dwells where it seldon is seen. For in our hearts we love him still. From his sorrowing mother and sisters, Ada and Floss.